Running a business is hard enough. You must service your customers; you must find a way to draw them to your store; you have competitors who want your customers; you must manage your employees and the larger you get, you must offer wages and benefits. Then there are the government regulations and taxes and permits, and construction outside your door, and insurance for fire and earthquakes. Then there are the bankers who will loan you all sorts of money when times are good, but will not share a farthing in bad times. Randy Murphy and Dave Shaffer, dba Southwest Furniture Brokers, unliquidated. Everyone of those companies will lose in some way. If business can be so risky, why does our government make it harder to succeed? Bankrupt Furniture Brands International Inc. on Wednesday asked a federal judge in Delaware to let it pay more than $5 million in bonuses to 55 employees, including seven company insiders, if its assets are successfully sold at auction. Are you going to pay bonuses to all the retailers that sold your products and vendors that have no way to earn an income? I’ll bet not! Furniture Brands (FBN) has fallen from the $6 to $8 trading range for four months ending in June to a buck (see chart). FBN “…announced a $40.8 million second-quarter loss. The company reported a $6.8 million loss in the same quarter last year. Sales declined 4 percent in the recent quarter to $255 million compared with the second quarter of 2012. The company’s brands include Thomasville, Drexel Heritage, Henredon, Hickory Chair, Maitland-Smith and Pearson. Analysts are openly speculating that FBN’s future includes bankruptcy. Penney’s credit default swaps also widened on Friday, a sign that estimates there is a 70% chance of a default. Are We A Heartbeat Away From Lehman Redux? Jim Willie says there’s an overnight scramble for cash at Deutche Bank in Germany and failure would be Lehman bankruptcy times 5. 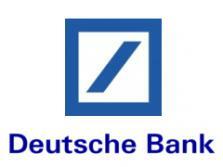 The important thing to keep in mind about Deutche Bank is that it won’t go down alone if it goes down at all. If it fails, it will take along with it 3,4,5,6 or 10, or 15 other banks! It will be 1 or 2 quickly, then a 3rd and 4th a few weeks later, another, then before you know it, all of Italy and their major banks would be kaput. Free cash flow in huge decline, from 9 Months Ended Oct. 29, 2011 of ($737M) to 9 Months Ended Oct. 27, 2012 of ($1.3B). Penney â€œmust find a way to significantly slow the sales decline within the next six months, and if it doesnâ€™t, managementâ€™s attempt to â€˜bet the companyâ€™ could become more problematic,â€ (Analyst Michael) Exstein wrote. Let Obamacare Take Care Of Them! Health and welfare benefits to 56,000 U.S. retirees and dependents will be discontinue by Eastman Kodak as part of bankruptcy proceeding.